The Geberit AquaClean Tuma is distinguished by its combination of simple yet elegant design with sophisticated, innovative technology. The shower toilet features the patented WhirlSpray shower technology and a Rimfree WC ceramic pan. 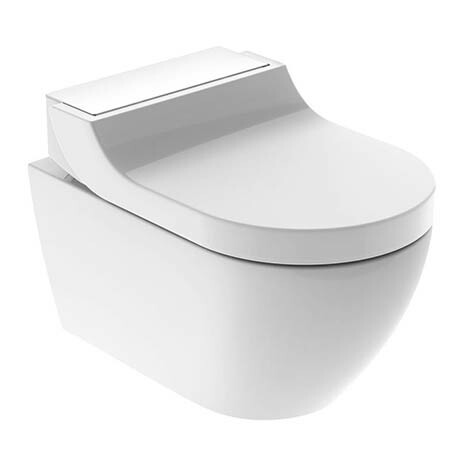 There are also additional comfort functions such as heated toilet seat, dryer and an integrated odour extraction unit. User-specific settings can be adjusted - such as the position of the spray arm, oscillation and spray intensity - to your individual needs and saved using the ergonomically designed remote control. For use with concealed cistern wall hung frames (sold separately).